Deepika Kumari (born 13 June 1994) is an Indian athlete who competes in the event of archery. She was born in the city of Ranchi, in the state of Jharkhand, India. 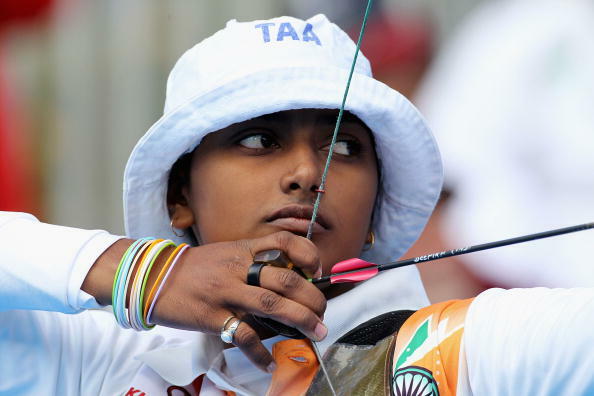 She is a budding archer and a huge prospect for India. She won the gold medal at the 2010 Commonwealth games in the women's individual recurve event. She also won the gold medal in the same competition in the women's team recurve event along with Dola Banerjee and Bombayala Devi. Archery at 2018 Asian Games - Koreans claim 4 Golds, Indian Compound Team claims 2 Silvers. Road to Jakarta Asian Games : Can Indian recurve archers match their compound counterparts?